Why Not Thorium Fueled Nuclear Reactors Instead of Uranium? Marin Katusa, Chief Energy Investment Strategist, Casey Research writes: The Fukushima disaster reminded us all of the dangers inherent in uranium-fueled nuclear reactors. Fresh news yesterday about Tepco's continued struggle to contain and cool the fuel rods highlights just how energetic uranium fission reactions are and how challenging to control. Of course, that level of energy is exactly why we use nuclear energy – it is incredibly efficient as a source of power, and it creates very few emissions and carries a laudable safety record to boot. This conversation – "nuclear good but uranium dangerous" – regularly leads to a very good question: what about thorium? Thorium sits two spots left of uranium on the periodic table, in the same row or series. Elements in the same series share characteristics. With uranium and thorium, the key similarity is that both can absorb neutrons and transmute into fissile elements. That means thorium could be used to fuel nuclear reactors, just like uranium. And as proponents of the underdog fuel will happily tell you, thorium is more abundant in nature than uranium, is not fissile on its own (which means reactions can be stopped when necessary), produces waste products that are less radioactive, and generates more energy per ton. So why on earth are we using uranium? As you may recall, research into the mechanization of nuclear reactions was initially driven not by the desire to make energy, but by the desire to make bombs. The $2-billion Manhattan Project that produced the atomic bomb sparked a worldwide surge in nuclear research, most of it funded by governments embroiled in the Cold War. And here we come to it: Thorium reactors do not produce plutonium, which is what you need to make a nuke. How ironic. The fact that thorium reactors could not produce fuel for nuclear weapons meant the better reactor fuel got short shrift, yet today we would love to be able to clearly differentiate a country's nuclear reactors from its weapons program. In the post-Cold War world, is there any hope for thorium? Perhaps, but don't run to your broker just yet. The typical nuclear-fuel cycle starts with refined uranium ore, which is mostly U238 but contains 3% to 5% U235. Most naturally occurring uranium is U238, but this common isotope does not undergo fission – which is the process whereby the nucleus splits and releases tremendous amounts of energy. By contrast, the less-prevalent U235 is fissile. As such, to make reactor fuel we have to expend considerable energy enriching yellowcake, to boost its proportion of U235. Once in the reactor, U235 starts splitting and releasing high-energy neutrons. The U238 does not just sit idly by, however; it transmutes into other fissile elements. When an atom of U238 absorbs a neutron, it transmutes into short-lived U239, which rapidly decays into neptunium-239 and then into plutonium-239, that lovely, weaponizable byproduct. When the U235 content burns down to 0.3%, the fuel is spent, but it contains some very radioactive isotopes of americium, technetium, and iodine, as well as plutonium. This waste fuel is highly radioactive and the culprits – these high-mass isotopes – have half-lives of many thousands of years. As such, the waste has to be housed for up to 10,000 years, cloistered from the environment and from anyone who might want to get at the plutonium for nefarious reasons. Thorium's advantages start from the moment it is mined and purified, in that all but a trace of naturally occurring thorium is Th232, the isotope useful in nuclear reactors. That's a heck of a lot better than the 3 to 5% of uranium that comes in the form we need. Then there's the safety side of thorium reactions. Unlike U235, thorium is not fissile. That means no matter how many thorium nuclei you pack together, they will not on their own start splitting apart and exploding. If you want to make thorium nuclei split apart, though, it's easy: you simply start throwing neutrons at them. Then, when you need the reaction to stop, simply turn off the source of neutrons and the whole process shuts down, simple as pie. Here's how it works. When Th232 absorbs a neutron it becomes Th233, which is unstable and decays into protactinium-233 and then into U233. That's the same uranium isotope we use in reactors now as a nuclear fuel, the one that is fissile all on its own. Thankfully, it is also relatively long lived, which means at this point in the cycle the irradiated fuel can be unloaded from the reactor and the U233 separated from the remaining thorium. The uranium is then fed into another reactor all on its own, to generate energy. The U233 does its thing, splitting apart and releasing high-energy neutrons. But there isn't a pile of U238 sitting by. Remember, with uranium reactors it's the U238, turned into U239 by absorbing some of those high-flying neutrons, that produces all the highly radioactive waste products. With thorium, the U233 is isolated and the result is far fewer highly radioactive, long-lived byproducts. Thorium nuclear waste only stays radioactive for 500 years, instead of 10,000, and there is 1,000 to 10,000 times less of it to start with. Researchers have studied thorium-based fuel cycles for 50 years, but India leads the pack when it comes to commercialization. As home to a quarter of the world's known thorium reserves and notably lacking in uranium resources, it's no surprise that India envisions meeting 30% of its electricity demand through thorium-based reactors by 2050. In 2002, India's nuclear regulatory agency issued approval to start construction of a 500-megawatts electric prototype fast breeder reactor, which should be completed this year. In the next decade, construction will begin on six more of these fast breeder reactors, which "breed" U233 and plutonium from thorium and uranium. Design work is also largely complete for India's first Advanced Heavy Water Reactor (AHWR), which will involve a reactor fueled primarily by thorium that has gone through a series of tests in full-scale replica. The biggest holdup at present is finding a suitable location for the plant, which will generate 300 MW of electricity. Indian officials say they are aiming to have the plant operational by the end of the decade. China is the other nation with a firm commitment to develop thorium power. In early 2011, China's Academy of Sciences launched a major research and development program on Liquid Fluoride Thorium Reactor (LFTR) technology, which utilizes U233 that has been bred in a liquid thorium salt blanket. This molten salt blanket becomes less dense as temperatures rise, slowing the reaction down in a sort of built-in safety catch. This kind of thorium reactor gets the most attention in the thorium world; China's research program is in a race with similar though smaller programs in Japan, Russia, France, and the US. There are at least seven types of reactors that can use thorium as a nuclear fuel, five of which have entered into operation at some point. Several were abandoned not for technical reasons but because of a lack of interest or research funding (blame the Cold War again). So proven designs for thorium-based reactors exist and need but for some support. Well, maybe quite a bit of support. One of the biggest challenges in developing a thorium reactor is finding a way to fabricate the fuel economically. Making thorium dioxide is expensive, in part because its melting point is the highest of all oxides, at 3,300° C. The options for generating the barrage of neutrons needed to kick-start the reaction regularly come down to uranium or plutonium, bringing at least part of the problem full circle. And while India is certainly working on thorium, not all of its eggs are in that basket. India has 20 uranium-based nuclear reactors producing 4,385 MW of electricity already in operation and has another six under construction, 17 planned, and 40 proposed. The country gets props for its interest in thorium as a homegrown energy solution, but the majority of its nuclear money is still going toward traditional uranium. China is in exactly the same situation – while it promotes its efforts in the LFTR race, its big bucks are behind uranium reactors. China has only 15 reactors in operation but has 26 under construction, 51 planned, and 120 proposed. Thorium is three times more abundant in nature than uranium. 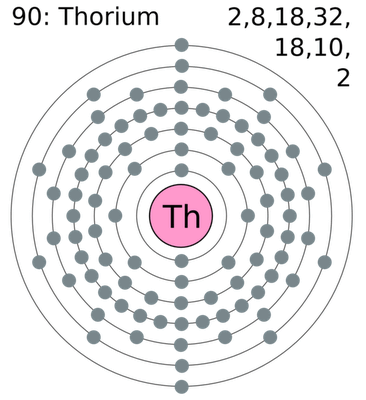 All but a trace of the world's thorium exists as the useful isotope, which means it does not require enrichment. Thorium-based reactors are safer because the reaction can easily be stopped and because the operation does not have to take place under extreme pressures. Compared to uranium reactors, thorium reactors produce far less waste and the waste that is generated is much less radioactive and much shorter-lived. To top it all off, thorium would also be the ideal solution for allowing countries like Iran or North Korea to have nuclear power without worrying whether their nuclear programs are a cover for developing weapons… a worry with which we are all too familiar at present. So, should we run out and invest in thorium? Unfortunately, no. For one, there are very few investment vehicles. Most thorium research and development is conducted by national research groups. There is one publicly traded company working to develop thorium-based fuels, called Lightbridge Corp. (Nasdaq: LTBR). Lightbridge has the advantage of being a first mover in the area, but on the flip side the scarcity of competitors is a good sign that it's simply too early. Had it not been for mankind's seemingly insatiable desire to fight, thorium would have been the world's nuclear fuel of choice. Unfortunately, the Cold War pushed nuclear research toward uranium; and the momentum gained in those years has kept uranium far ahead of its lighter, more controllable, more abundant brother to date. History is replete with examples of an inferior technology beating out a superior competitor for market share, whether because of marketing or geopolitics, and once that stage is set it is near impossible for the runner-up to make a comeback. Remember Beta VCRs, anyone? On a technical front they beat VHS hands down, but VHS's marketing machine won the race and Beta slid into oblivion. Thorium reactors aren't quite the Beta VCRs of the nuclear world, but the challenge they face is pretty similar: it's damn hard to unseat the reigning champ. I don't believe a thorium reactor has ever been built. There was a publicly traded company claiming to either be in the process or have contracts to build such an animal but something happened in which the company was not all that it was cracked up to be and may be out of business.The fact that there isn't a groundswell for thorium reactors says about all I need to know. Something is wrong. Tom Sawyer, yeah the something wrong, is that TPTB don't get the nuclear weapons.